Winter tends to be a pretty miserable time for a lot of cancer survivors. Nobody really knows why, but a lot of cancer survivors seem to develop cold weather intolerance issues that just make the winter months pretty unbearable. My body never had any issues with cold weather at all before cancer, and I had even lived in Chicago and Minnesota, so I know what cold is! After cancer though, whoa! Winters were just plain awful, and I suddenly had fatigue issues and aches and pains and all sorts of other things to deal with that I never had or experienced during the winter before cancer. A lot of people develop cabin fever and look forward to spring as it is, but especially for caner survivors, I think that spring symbolically represents a bit more to us than it does to the average human being. Longer days, the return of warmer weather, and colorful spring blossoms signifying new life and the arrival of a new season are all very uplifting for many of us. I always loved Spring before, but after cancer, it's my favorite season for all that it represents! 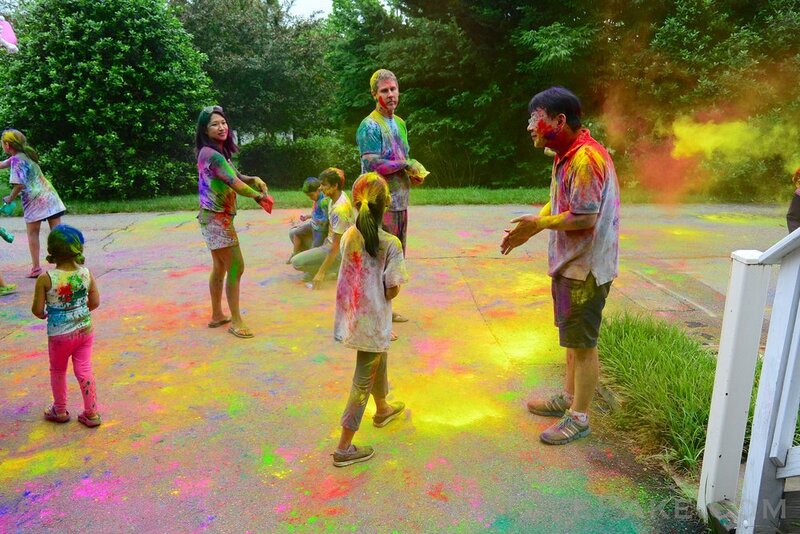 I had heard about the springtime Hindu Holi festivals of color, and thought they'd be right down my alley and really wanted to go. 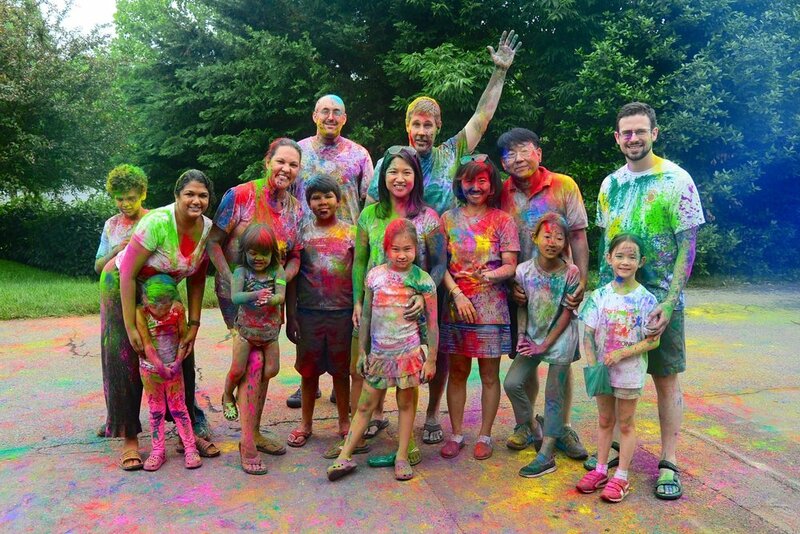 Per Wikipedia, Holi signifies "the victory of good over evil, the arrival of spring, end of winter, and for many a festive day to meet others, play and laugh, forget and forgive, and repair broken relationships." Totally me. I finally found some Indian friends to go with back in 2014 that could "show me how its done", and I had a blast and enjoyed it immensely just like I thought I would. It was an amazing experience to be surrounded with light and color at every turn, and so much energy from the crowds of people after being cooped up inside for months in the dark and cold. I immediately fell in love with the whole thing, and knew I had to have the spirit of this festival in my life somehow. 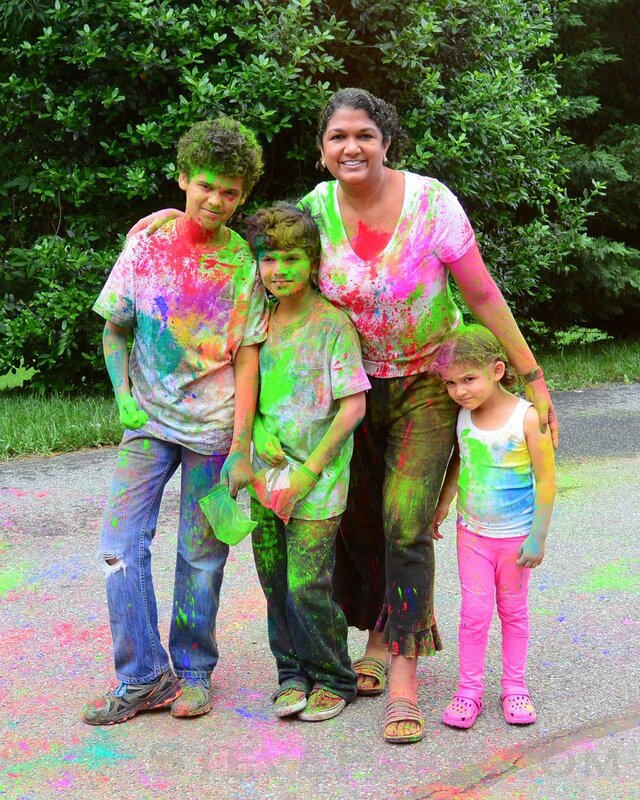 My first Holi in 2014 with my daughter, and my long time friend Amit, and my friends Raghu and Anitha and their kids, to show us how it's done. 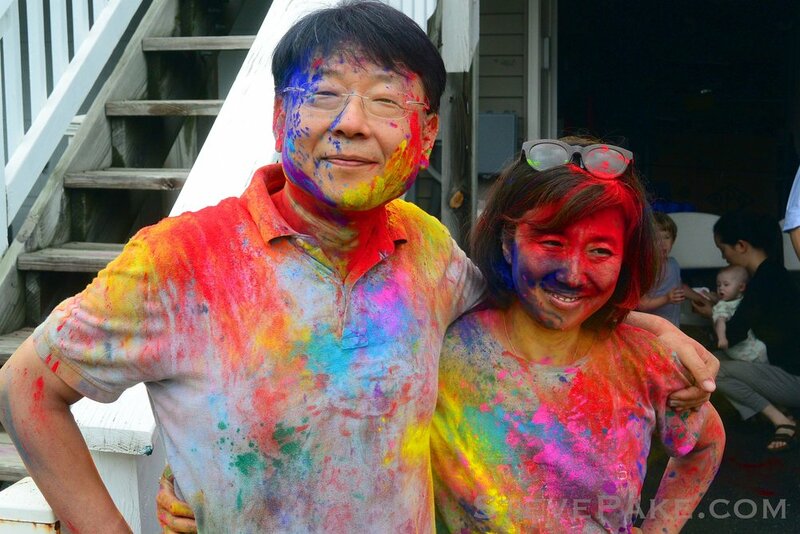 Here's some photos from our Summer Kickoff Color Party of 2016! They're a great time! I fire up the grill and cook some burgers and dogs, or we've gotten pizza in the past, while guests bring small food items to share. We crank up some summery music tunes and adults and kids go wild with the color powder, and it tends to be warm enough right around Memorial Day to fire up the sprinklers and do water balloons and such as we're winding down! And when the youngest ones have had enough, they can quietly escape rather than being stuck at a big festival for a few hours. They're so much fun! We had to skip having this party in 2017 due to moving, but we're really looking forward to having this party once again in 2018 at our new place! 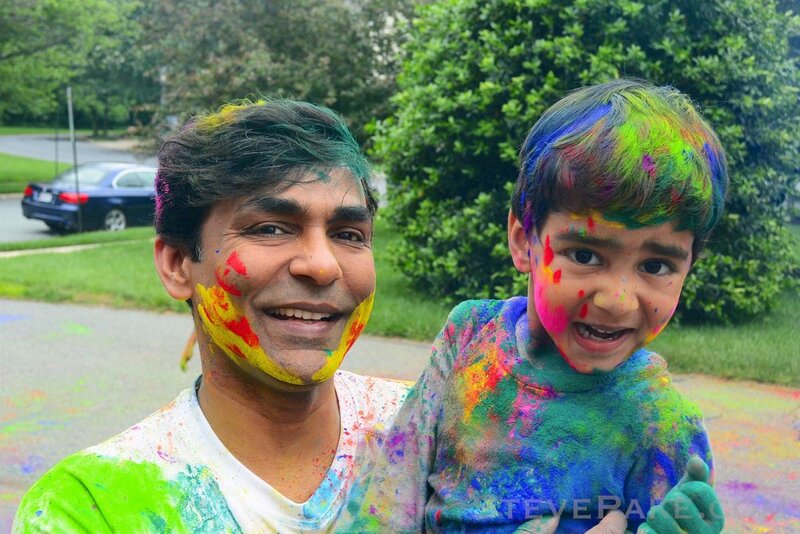 Enjoy the full photo albums below from the Holi festival that I went to in the DC area in 2014, and from our previous color parties from 2014-2016. We hope to see you at one of these soon!